Micropigmentation is permanent eyebrow tattooing or semi-permanent makeup method. This method is done with a digital machine. The color is implanted deeper into the skin-known as the dermal layer, featuring of hair like strokes creating a beautifully designed brow. It lasts longer than Microblading/Eyebrow Embroidery method. Micropigmentation only needs to be re-touched every 2 to 5 years, sometimes longer. The skin does take slightly longer to heal being that is was done with a digital pen therefore the treated area needs aftercare ointment for approximately a week. The appointment time for this procedure is approximately 1 hour. This procedure lasts longer and costs more. 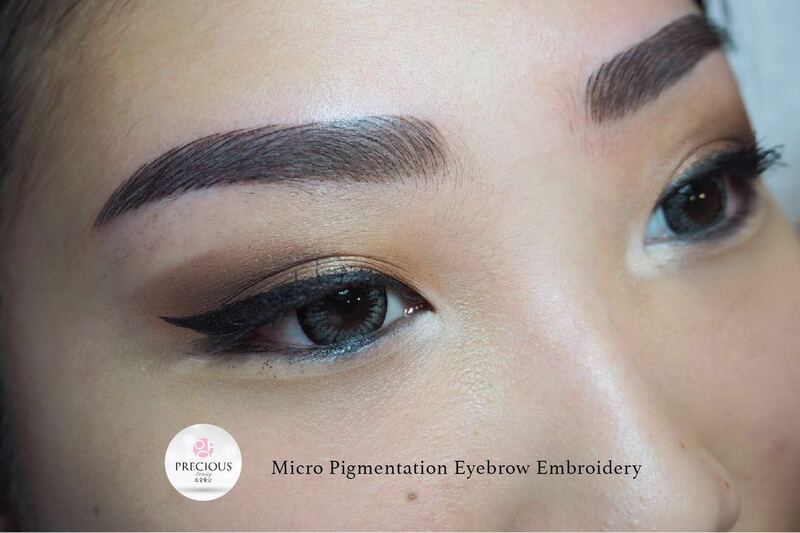 Is the process of Micro Pigment Brow embroidery painful? No, It is no pain at all after anesthesia application and its safe , using the latest high technology embroidery machine supported with micro needle to create more natural and real brow hair. 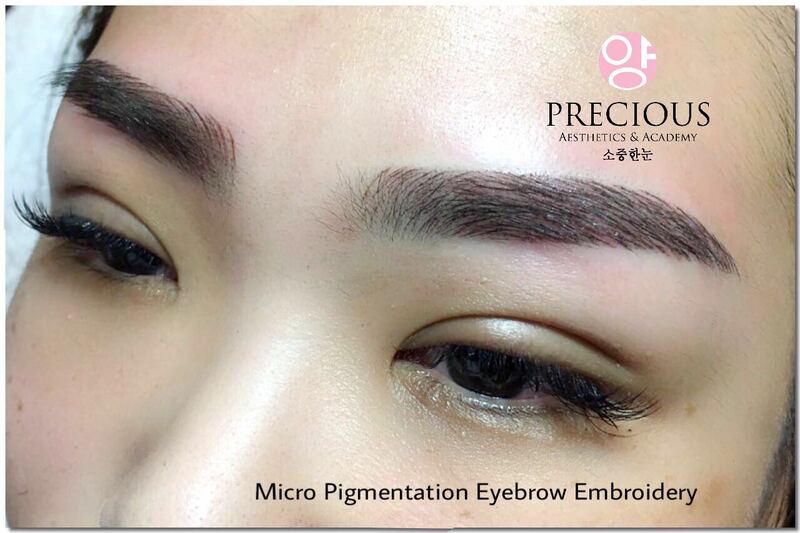 How long will Micro Pigment eyebrow embroidery last for ? It can stay and last for 2-5 years and you can do the retouch after all. We support a package of Micro Pigment eyebrow cosmetic maintenance required after 6,12months for touch up. Absolutely. Precious Aesthetics & Academy is compliant with all health requirements, using disposable needles and sterilisation of equipment machine as required. Performed by our President of International Beauty Consultant, Ms. Julie Yeoh and Ms. Ernie Yeoh , with Korea Permanent Make Up Technology, you’re in very safe hands.